Note that the date on this coin is in the Reiwa (令和) era, as opposed to the current Heisei era, which has lasted since 1989. The current emperor, Akihito, is slated to abdicate on April 30th, and on May 1st, crown prince Naruhito will be enthroned as emperor. Simultaneously, the era name will change from Heisei to Reiwa. As the era name is used on the coins, the transition from Akihito to Naruhito has implications for the coins. We can expect coins minted between May 1st and December 31st 2019 to carry the inscription '令和元年' (first year of Reiwa). In western catalogues, coins of similar designs, but with different era names (representing different emperors) are considered different types. 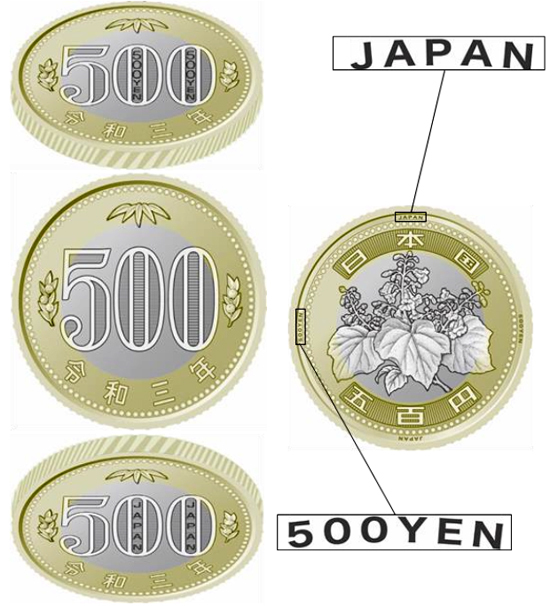 In Japan, however, the era name is simply considered part of the date and the coins with the new era names will not be considered to be new coin types by the Japanese. Therefore, it should not be expected that the Japanese mint will issue a press release announcing new types. Nevertheless, in western catalogues they are definitely going to be assigned a new catalogue number.